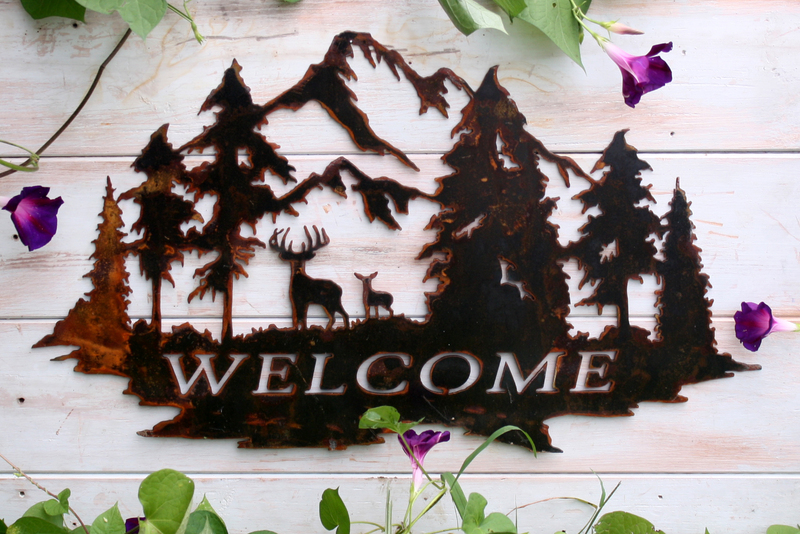 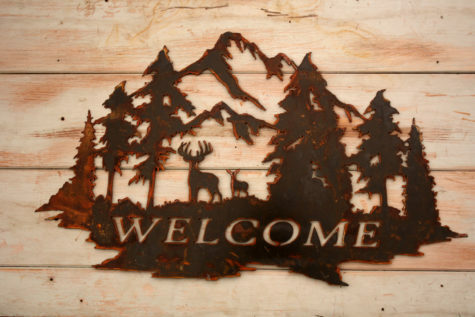 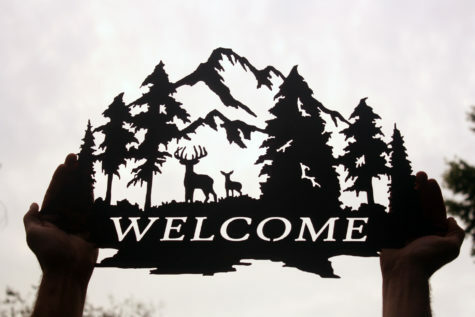 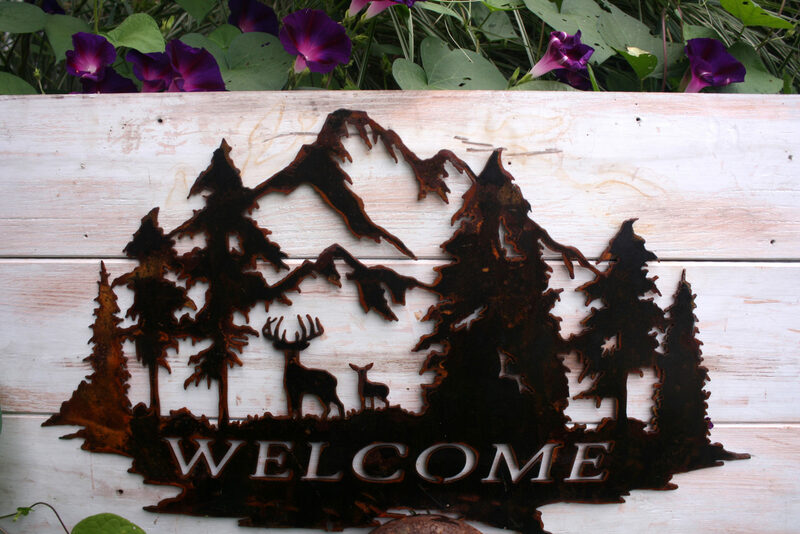 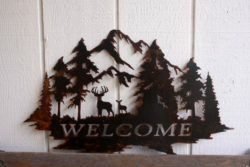 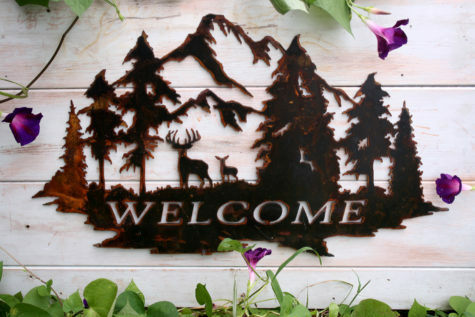 Welcome Sign with Deer, Mountain and Trees. 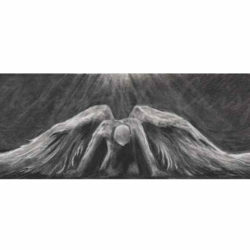 23 inch Metal Signs | Custom Metal Wall Art | Personalize with your name or family name. 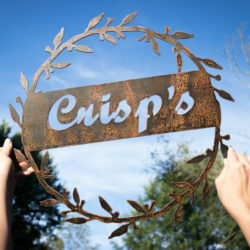 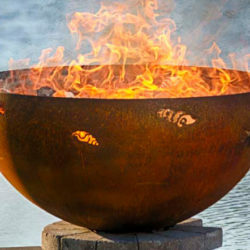 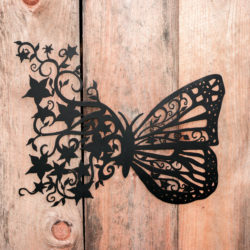 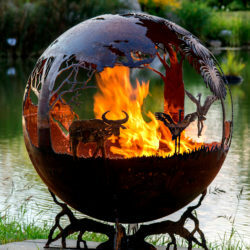 Personalize your sign with Your Name or your Family Name at No Charge!